The flight was operated on a new Boeing 737 MAX 8, the same type that went down in the Java Sea, just after takeoff from Jakarta, Indonesia, in October, killing all 189 aboard. An interim report from Indonesian investigators in November found that Lion Air’s jet had several days of maintenance problems and that the pilots had battled an anti-stall system on the plane, which may have been receiving erroneous readings. The cause of the crash is still unknown. Read the full story, "Second fatal crash of popular Boeing 737 plane raises safety concerns," at cnbc.com. 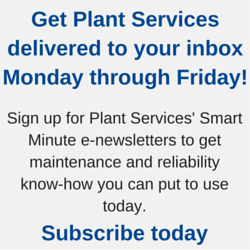 See also: "Don't 'set it and forget it' when it comes to your automation systems" on PlantServices.com.